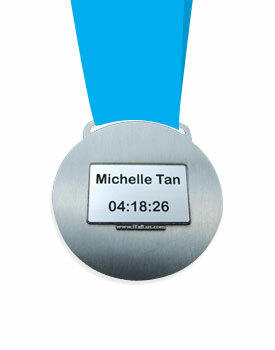 Give your hard earned OPAP Limassol Marathon finisher medal extra significance by personalizing it with an iTaB! The iTaB is a plate, engraved with your Name and Finish Time, which fits neatly on the back of our specially designed medals. After the race your iTaB will be mailed directly to your home. Every Race tells a story…let iTaB tell YOURS!